This gorgeous 4 bed 2.5 bath home is one you truly must see to believe! 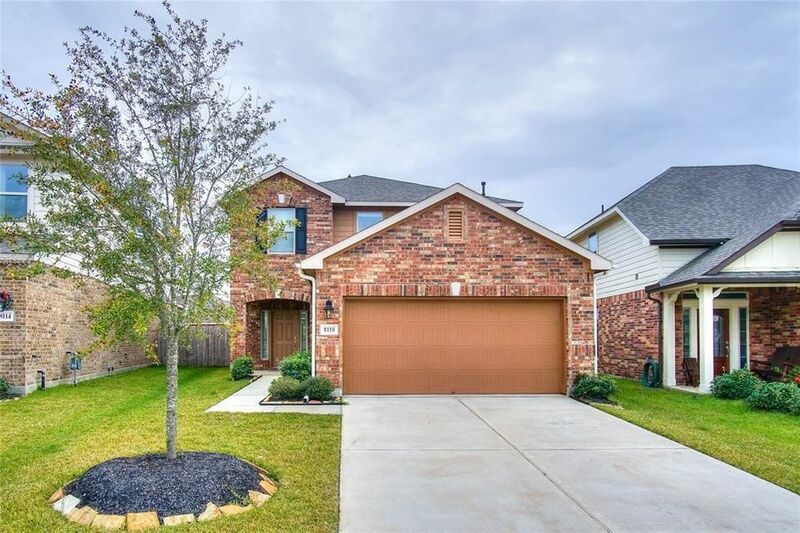 Upon entry you are greeted by a lovely family room featuring tile flooring, crown molding and lots of natural light; it's perfectly suited to relaxing after long days and has plenty of room to accommodate a crowd on special occasions! Whipping up your favorite recipes is a true pleasure in the beautiful kitchen equipped with granite countertops, tile flooring and backsplash, a huge central island and cabinets that provide ample storage space! In the evenings, withdraw to the spacious second floor master suite complete with a vaulted ceiling, a walk-in closet and French doors leading into a luxurious bathroom that showcases double sinks, tile flooring and a tiled walk-in shower with a built-in bench seat and mosaic tile accents! All 3 secondary bedrooms upstairs! The home also has a massive backyard with a covered patio and plenty of green space for all your favorite outdoor activities! Don't miss out on this one! Directions: From TX-99, Exit FM Rd 529 E, left on Fry Rd, left on Longenbaugh Rd, right on Parker Mill Ln, left on Carolina Lake, left on Pewter Creek, left on Oxbow Manor, Continue on Aleppo Pine Ln, Home will be on the left.